Sinquefield’s philanthropic endeavors include his formation of the Chess Club and Scholastic Center of Saint Louis, which teaches young people chess and hosts various tournaments. Travis Brown is the CEO of Pelopidas LLC, a group that represents the Sinquefields in political, legislative, and policy areas. He says the Sinquefields have been instrumental in putting St. Louis on the map when it comes to chess. “I think it’s fair to say the capital and world capital of chess and chess education and outreach has to be the central west end of St. Louis and that’s credit largely due to Rex and Jeanne Sinquefield,” Brown said. 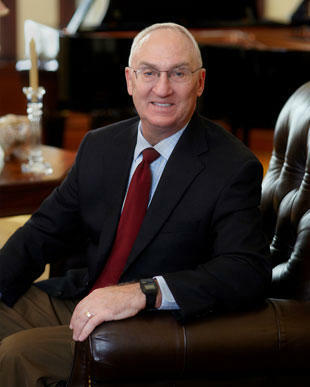 Sinquefield and his wife are also active in the music scene and the University of Missouri was recently on the receiving end of the Sinquefield’s donations. On April 10, the university announced the Sinquefields donated $10 million for the university to build a new music school. “Can you imagine a life without music? And do you want that music always to be what was written before you were born? No,” Jeanne Sinquefield said at the ceremony. While the Sinquefields together donate money to the university, the chess center, and the Boy Scouts in mid-Missouri, it is Rex’s political donations that have raised eyebrows since 2008. Former House Speaker Tim Jones says the debate over Sinquefield’s donations is not what it should be. One of the “left-wing editorial board writers” Jones frequently criticizes is Barb Shelly, an opinion columnist and editorial writer for The Kansas City Star. She says there’s one reason The Star writes so much about Sinquefield. Sinquefield’s large donations have long been the subject of controversy in Missouri, partly because Missouri does not have campaign contribution limits. Voters approved contribution limits in 1994, but lawmakers repealed the limits in 2006. 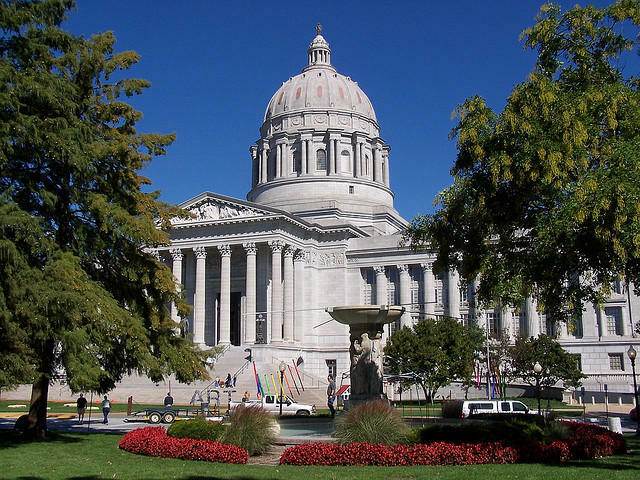 However, the Missouri Supreme Court struck down the legislature’s repeal, so the legislature came back in 2008 and again repealed the limits. This has allowed Sinquefield to write checks as big as $750,000 to former House Speaker and 2016 gubernatorial candidate Catherine Hanaway. In response to allegations that she is beholden to Sinquefield, Hanaway defended her record in front of journalists in February at the Capitol. “I was Speaker of the House and United States Attorney, the chief federal law enforcement official for half the state before I ever took one red cent from Rex Sinquefield,” Hanaway said. Brown says the donations don’t make Hanaway beholden to Sinquefield because she’s beholden to others. Jones received $195,000 from Sinquefield from 2009-2012, according to campaign finance reports from the Missouri Ethics Commission. When asked if donations from Sinquefield influenced him at all, Jones flatly denied the charge. “My economic philosophy was firmly created and formed and established long, long before I knew Rex Sinquefield existed,” Jones said. 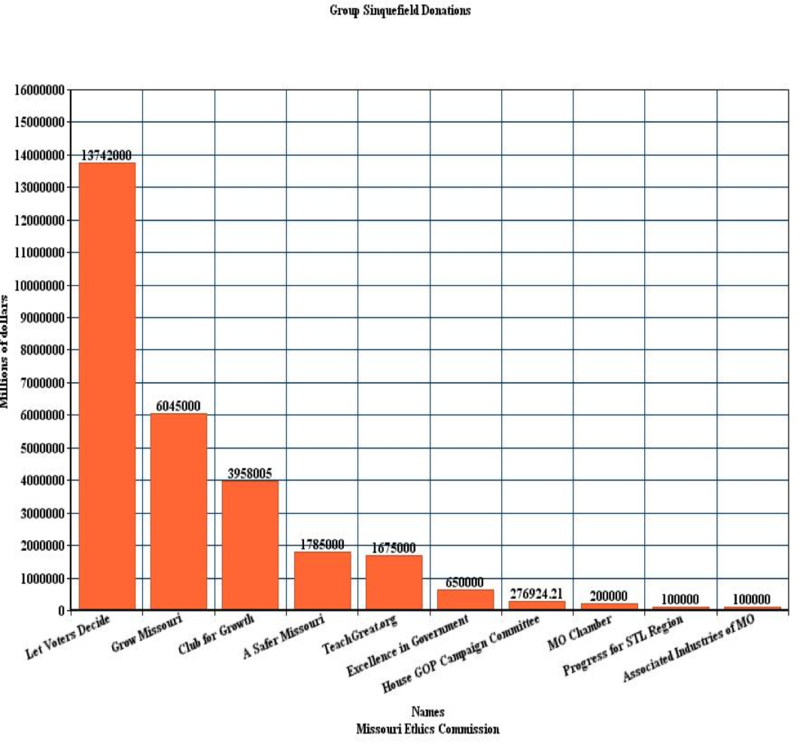 Covers 2008-2014, data from the Missouri Ethics Commission from Sinquefield organzations. Brown says Sinquefield has an interest in economic policy in order to help average Missourians. Sinquefield has an interest “in the ability to flatten our tax code so that more money can come home in every paycheck to create a better economy for everyone in Missouri,” he said. To that end, Sinquefield donated $13.7 million from 2010-2012 to Let Voters Decide, otherwise known as Missourians for Tax Reform. 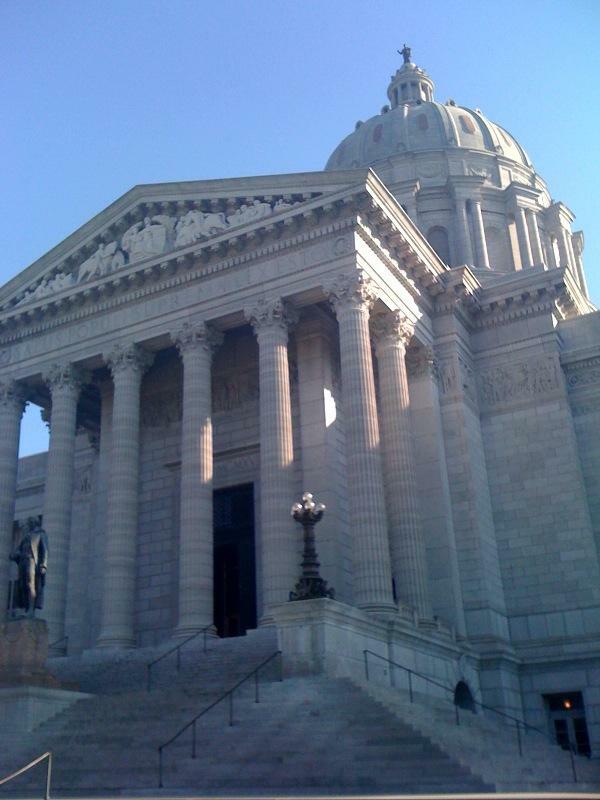 The group advocated eliminating Missouri’s individual income tax and proposed putting the question to voters on the 2012 ballot, but due to many different versions of the ballot language and a lawsuit, the proposal never appeared on the 2012 ballot. Though that endeavor was unsuccessful, Sinquefield donated a total of just over $6 million to Grow Missouri, another grassroots organization, in 2013 and 2014 to fund efforts for the group to advocate for a reduction in the state income tax. The effort culminated with the legislature’s passage in 2014 of Senate Bill 509. Once fully implemented, it will cut the top rate of income tax from 6 to 5.5 percent. Sinquefield’s influence also hangs over the race for Missouri governor. As mentioned, Sinquefield has donated to Hanaway, but she’s not the only candidate in the race, on either side of the aisle, who has received Sinquefield’s cash. Sinquefield has donated $335,000 to Democratic Attorney General Chris Koster since 2011 and another big beneficiary of Sinquefield’s donations is Republican Lt. Gov. Peter Kinder who has received $300,544 from Sinquefield since 2008 and says he’s “prayerfully and very humbly considering” getting into the 2016 governor’s race. 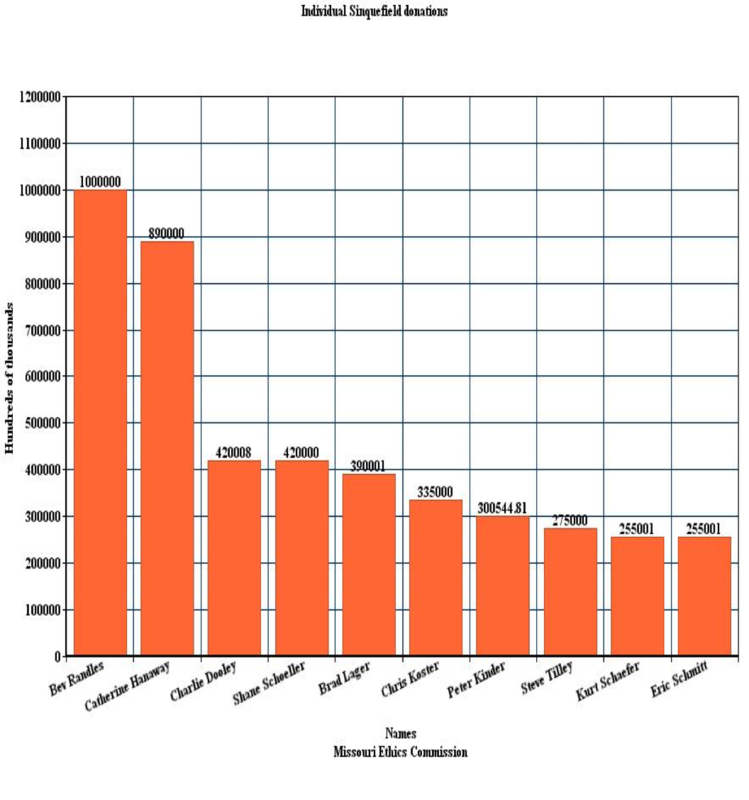 Covers 2008-2014, data from the Missouri Ethics Commission of individual donations. The fact that Sinquefield’s donations transcends party lines is a point Brown wants people to understand. “Rex Sinquefield gives based on principles that candidates themselves prove in their record, not because of contact with him or any other donor, but because of what they work hard to go out and promote and defend and create for our state,” Brown said. Jones agrees with Brown’s assertion. Sinquefield is also a major supporter of St. Louis Mayor Francis Slay and that includes a $100,000 check on February 28th. 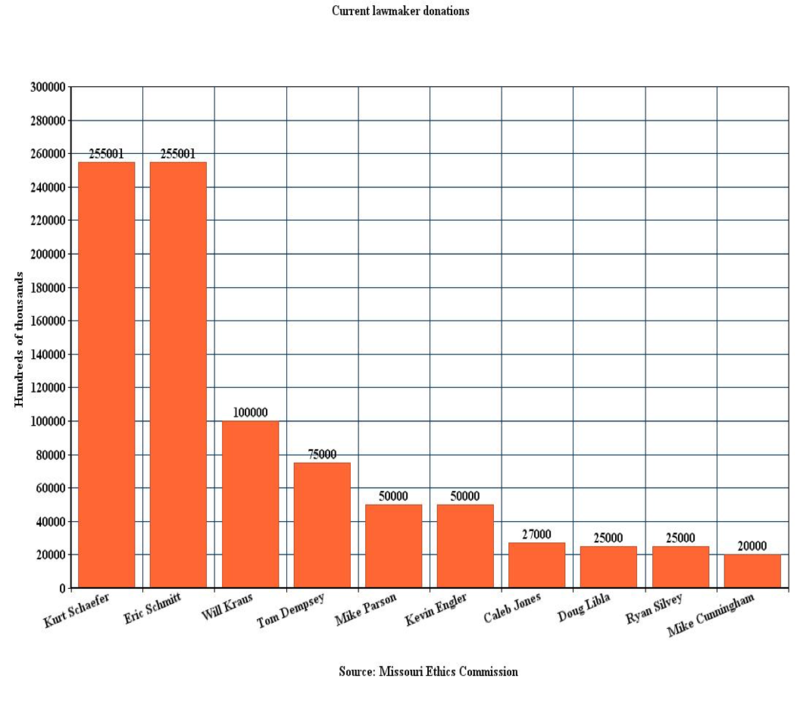 Despite Sinquefield’s large donations, Jones doubts his influence in the state is measurable. “In the minds of probably 98 percent of the eventual voters in this state on the issue, they don’t know that the Rex Sinquefield cloud exists,” Jones said. No matter what one’s opinion is about Sinquefield’s cloud of influence, Shelly says Sinquefield’s ideas are trying to permeate Missouri. As for the criticism Sinquefield receives, Brown says he understands why. “All pioneers are bound to take a few arrows,” he said. 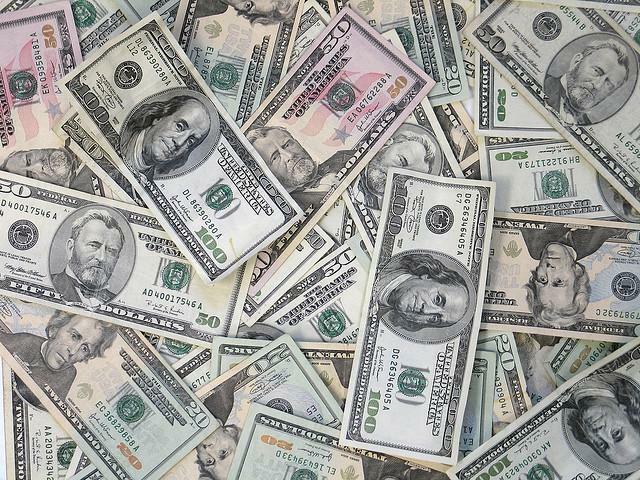 Some Missouri lawmakers say they plan to make another run at reforming the state's loose ethics laws, but campaign contribution limits probably won't be on the table.